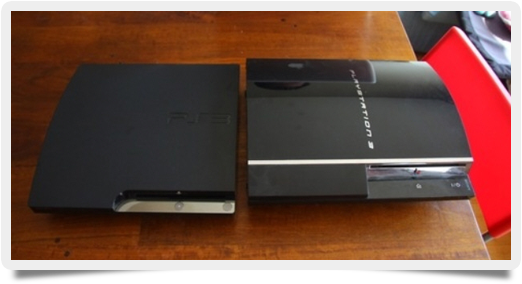 The PlayStation 3 is much more than just a gaming console. It’s an entertainment-streaming machine! PlayStation Store: Includes gaming content, movies and television, and serves as a hub for all Sony Entertainment content, like an online virtual market. Video Unlimited: Users can dig through the PlayStation Network’s video library and discover tons of movies and TV shows from Sony Entertainment, Twentieth Century Fox, and Universal. Crunchyroll: A library of Japanese animation and live action drama, for the anime aficionado. You can stream anime, manga, drama, music, electronic entertainment, and auto racing. MLB.TV: Get stats, scores, and archived clips — everything a fan needs to enjoy all things baseball. Watch every out-of-market game “live” online or on your mobile device. Netflix: The leader in on-demand Internet streaming media is also the premier PS3 streaming movie app. For $8 a month, you can’t go wrong. Netflix is amazing! Hulu Plus: Also $8 a month, Hulu Plus is mostly for television, such as The Daily Show, Modern Family, South Park, and more. YouTube: It’s YouTube on your PS3, but cleaned up and tailor-fit for your TV screen. Amazon Instant: Get films and TV shows for rental, purchase, and streaming from Amazon’s video-on-demand service (although you need a Prime membership to use it). CinemaNow: This is Best Buy’s pay rental service with over 3,000+ feature films, shorts, concerts, and television programs from Fox, ABC, Disney, MGM, Warner Bros, etc. Crackle: Crackle.com is another Sony digital streaming service with TV, movies, and original shows such as Extraction. Vudu HD Movies: This is Walmart’s movie-streaming service with new releases and the most HD on demand in 1080p. Add your folders by using Navigation/Share Settings > Shared Folders. Click the “+” sign and add more folders, share iTunes library, etc. Select your Media and Start PS3 streaming movies and TV shows!